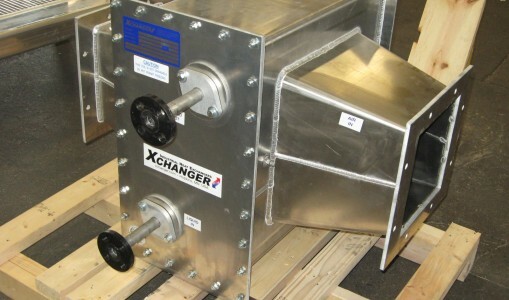 TV Series exchangers condense vapors from low pressure gas streams, typically storage tank reactor vents. The modular TV Series design allows a standard unit to give a custom fit for each application. Use our interactive online form to get a fast and accurate quote! 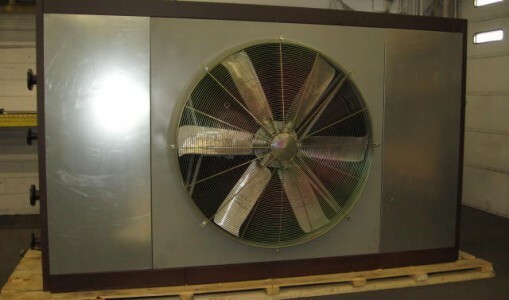 Cores are removable through both the front and back sides of the housing without requiring disassembly of the gas duct. 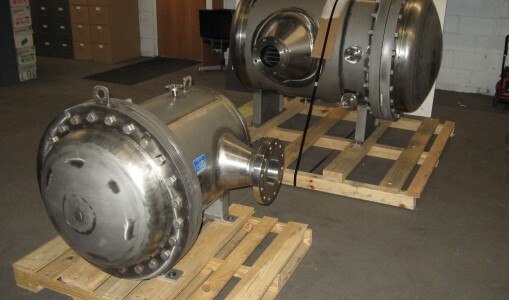 Pressure tests from a full vacuum to 50 PSIG are available. 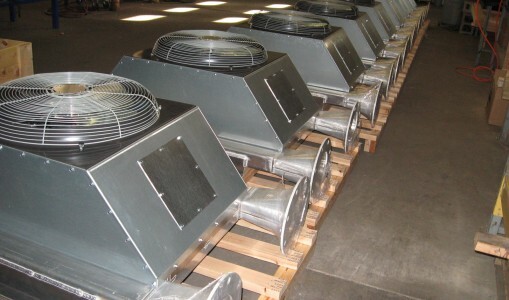 Housings can be built to contain several cores with separate or shared access panels. 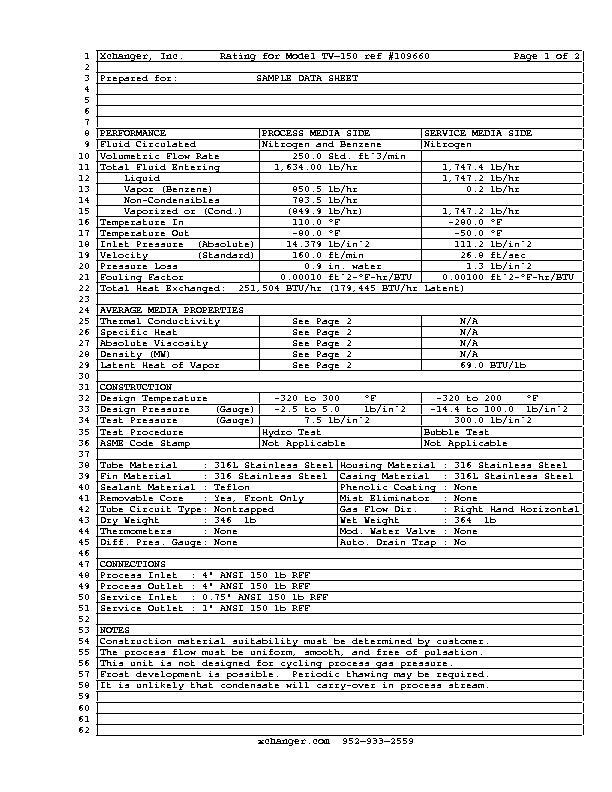 The gas connection size and type can easily be changed to match system requirements. 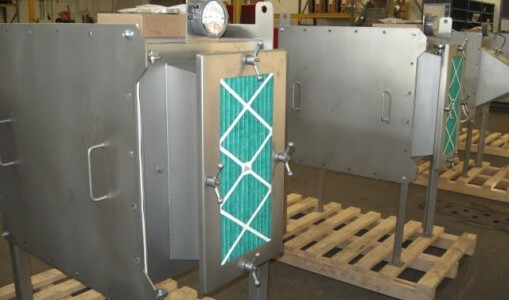 The fins are rectangular plates with a matrix of die-extruded tube collars. A sheet metal casing provides rigidity to the fin-tube assembly prior to tube expansion. 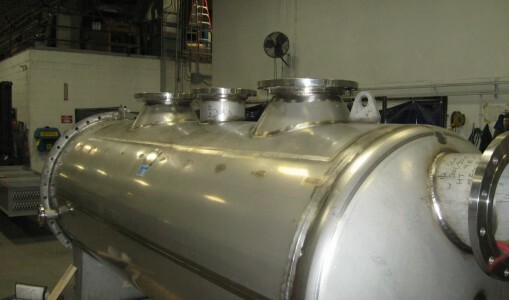 After assembly, the tubes are expanded into the fin collars. 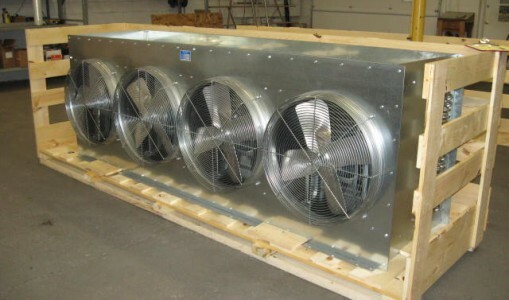 This allows for a gap-free connection maximizing heat transfer and structural integrity. The fluid circuit consists of several parallel tube circuits, which are joined at inlet and outlet headers. The circuits are designed to work “down hill” to prevent trapping. 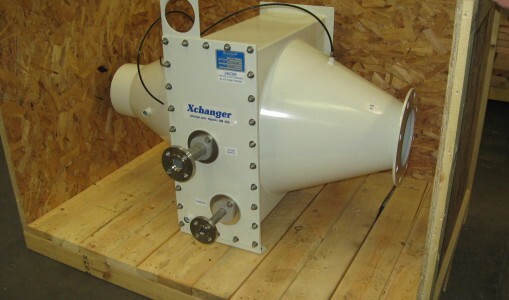 To ensure complete drainage, optional intermediate drain headers are available. Attached at the 180deg. 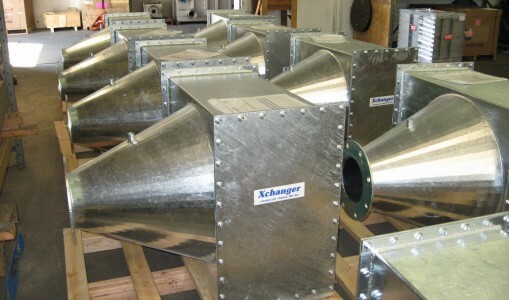 return bends, they provide positive water drainage and protection from freeze-up. 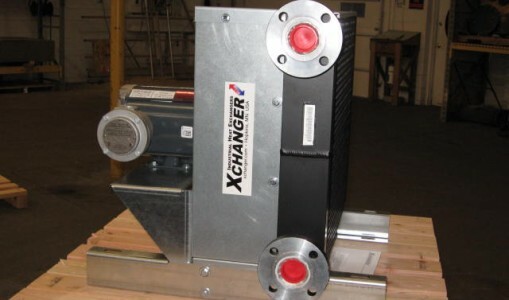 Xchanger engineers use a computer model to analyze condenser performance based on the best available engineering practice. 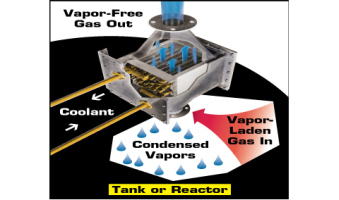 Complex multiple component vapor/gas mixture processes can be sized with a high degree of accuracy. TV-050, TV-075, TV-100, TV-125, TV-150, TV-175, TV-200, TV-225, TV-250, TV-275, TV-300, TV-325, TV-350, TV-375, TV-400, TV-425, TV-450, TV-475, TV-500, TV-525, TV-550, TV-575, TV-600, TV-625, TV-650, TV-675 & TV-700.